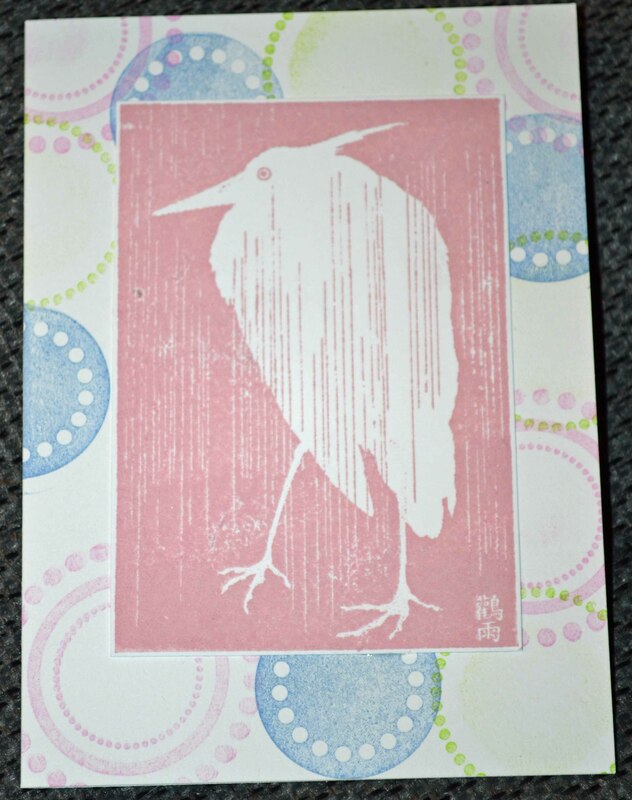 Let’s give a warm welcome back to Prickley Pear Rubber Stamps. Prickley Pear, which opened in 2003 by Nicole LaCour and closed last August, is back with new owners but the same fun, whimsical designs. Tanya Doner-Kostynuk, owner of Riley & Company and Cornish Heritage Farms stamps, and Sue Helm are the proud new parents. With nearly 900 products in 36 categories, Prickley Pear boasts a large assortment of vintage designs, many of which remind me of the cards my grandmother used to send me! Stamps come in clear polymer or red rubber and there are many matching dies. I die cut the bird and cage from some card stock that I think was made using Ranger Distress stains and/or sprays. The butterflies were from punches, the sequins from Doodlebug Designs and the cool background is the Art Deco Texture Plate from Spellbinders. It’s great to have Prickley Pear back! If you love fabric and you love vintage, take a look at 7gypsies‘ new Gypsy Seamstress line here and here, which brings together the look of old fabric prints, quilt-like bunting shapes and gypsy style printed banners. The collection includes banner making surfaces, totes and an apron. Besides adding lace, fabric, charms and other bits and baubles, you can color them with markers, acrylic paint, watercolor, glimmer mist, ink, etc. 7gypsies is part of the Canvas Corp Brands. Thanks for stopping by for this little craft update. Don’t they ever sleep at Spellbinders? 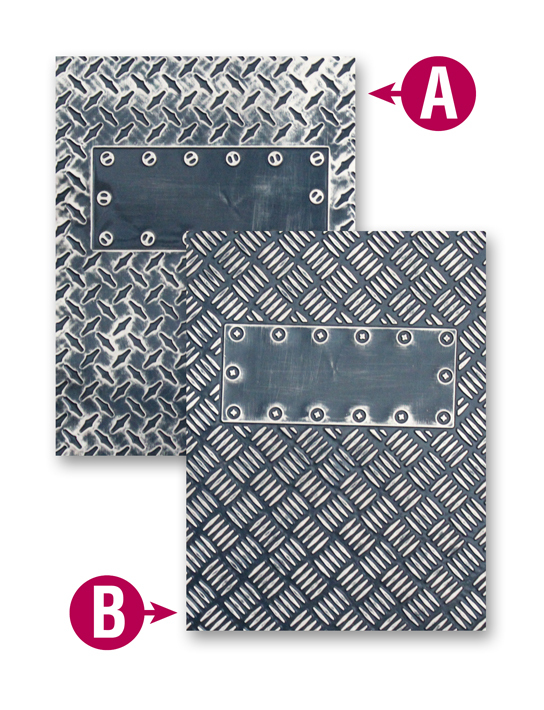 Yes, they have introduced more new dies and texture plates. The new Majestic Elements — which build on Nestabilities — are detailed nesting dies that work as single elements or can be layered. 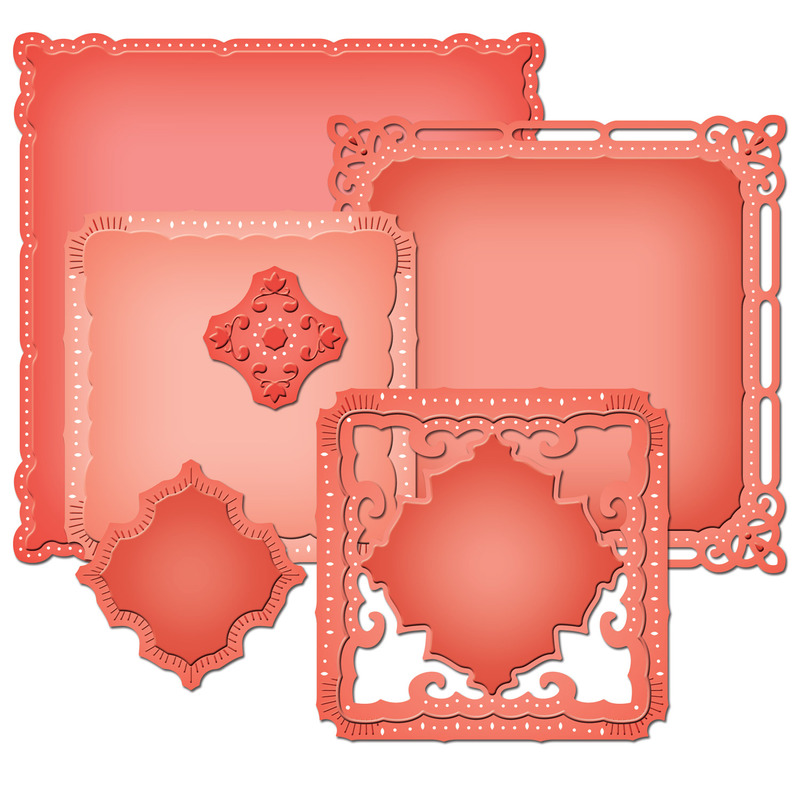 The dies — Marvelous Squares, Exquisite Circles and Resplendent Rectangles — offer many shape and layering options. 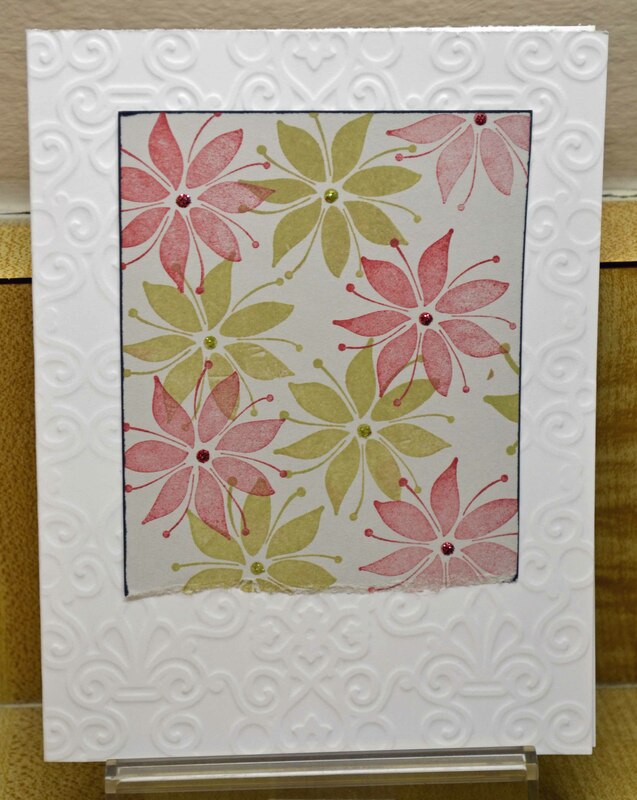 Spellbinders recently received the Craft & Hobby Association 2012 Summer Innovations Award for these dies, which were also on the “CHA Hot 20” creative products list at the show. Can’t you just see that embossed on metal or foil? Yum! 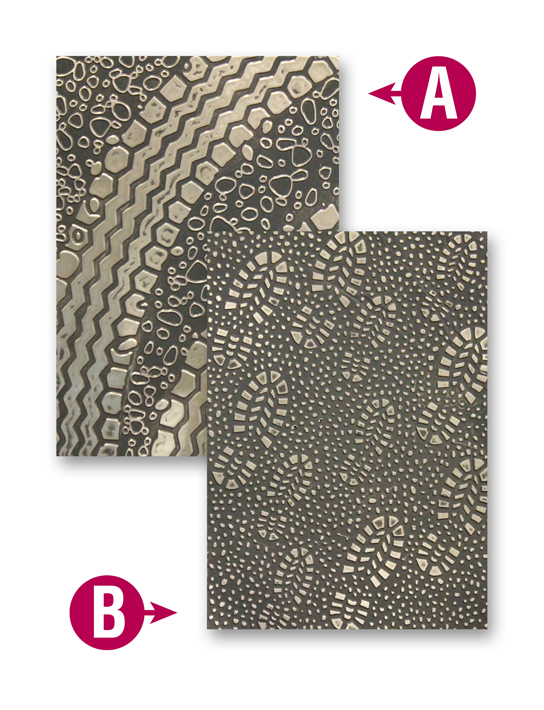 I am crazy about texture, so these really call out to me! And speaking of texture, my article about adding texture to your cardmaking is in the October issue of Crafts ‘n things magazine, out now. I will be posting more about texture this week. 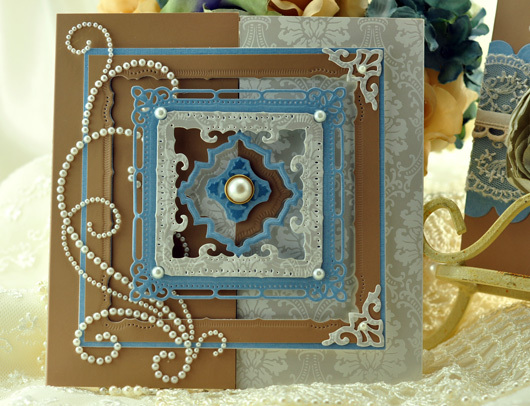 Check out the new Spellbinders dies — and the videos — on the Spellbinders Website here. I’ll leave you with one more treat from Spellbinders. Can you say oooooooooooohhhh? A new friend came over to play this week. 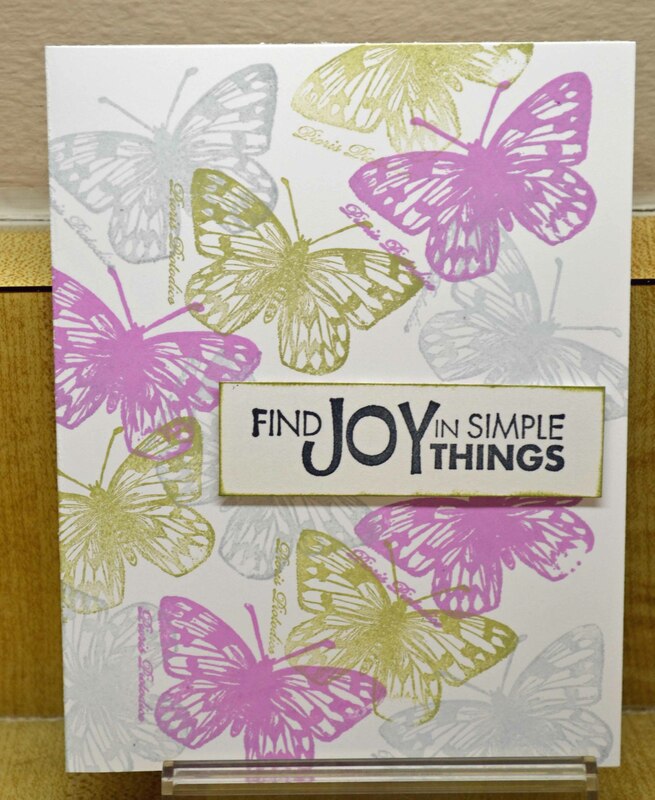 She is relatively new to stamping and although she has bought some stamps, paper, punches, etc., she was feeling overwhelmed — like, where do I start? What inks do I use? How do I pull together a card? My mission was to get her to make a card — without scaring her away with the dozens of choices and techniques. I kept our supplies to a minimum, starting with just a black ink pad and some water color pencils. I also wanted to show her how easy it is to make a simple, yet eye-catching card, in five minutes. I started with chalk inks (these happen to be from ColorBox) to point out that you can, indeed, create a card using one stamp and some ink. (All images Hero Arts.) She was impressed with the quick-drying chalk ink, which lets you layer color in a snap. And there … within a few minutes, we made three cards! Can’t wait to have another play date! Thanks for stopping by … and stay tuned for some crafting news about new products.